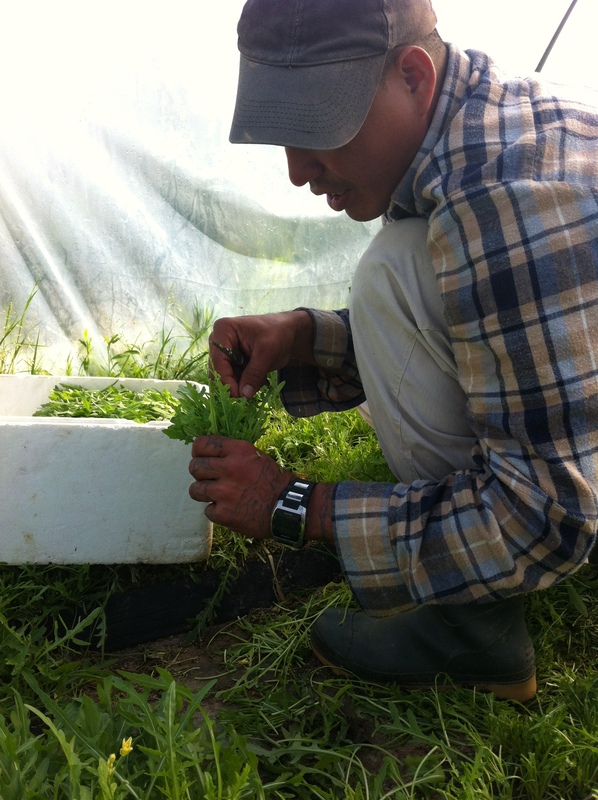 On the Farm at Aroa | eat. write. smile. I have never sneezed so much in my life. While I’ve always been a bubble kid in terms of allergies, these past three weeks have been a doozy. 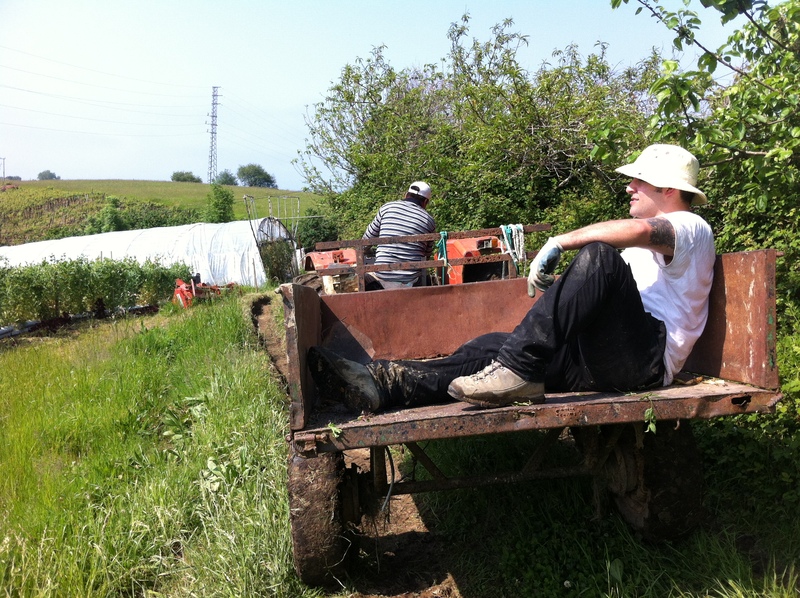 My fellow Sammic scholar Elisha Ben-Haim and I have been working at Aroa, a small farm in nearby Getaria. The second half of our BasqueStage experience has included apprenticeships with local producers, from bakers and cheesemakers to our current post on the farm. But what’s up with my sneezing? 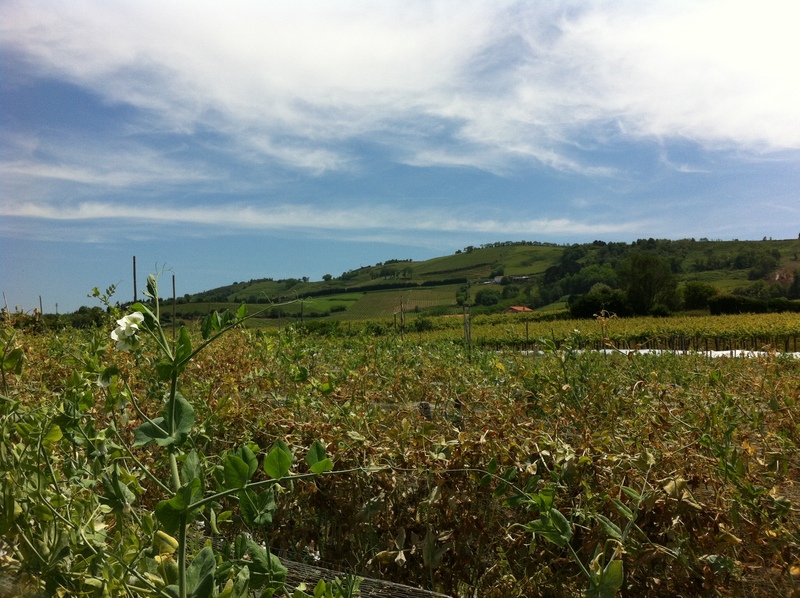 It’s late spring, and we’re also surrounded by txakoli vineyards. There’s edible flowers everywhere, tomato sap left and right. In other words, it’s an allergy mine field. My sneezes can be heard through the upper set of greenhouses, around the rows of sweet peas, through the low houses of lettuces and down to the greens’ washing room. 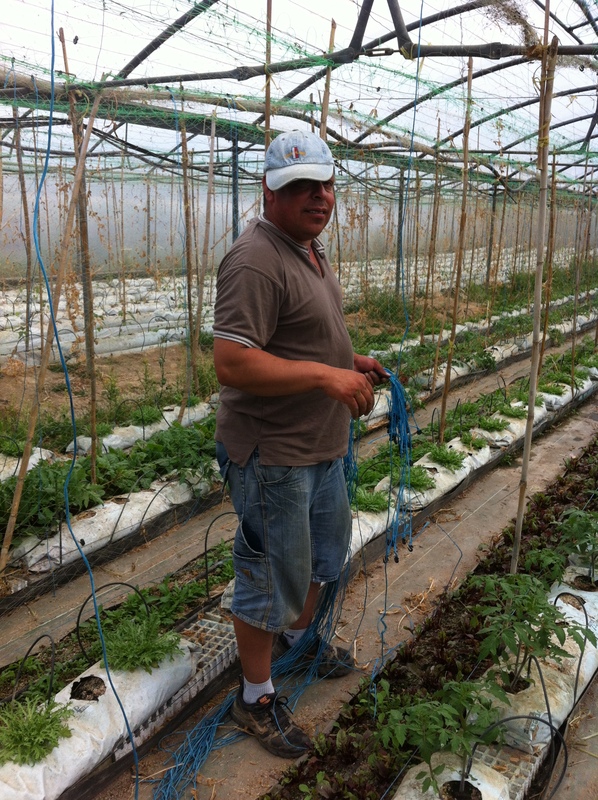 Juan ties cord for tomatoes in the big greenhouse. It’s become a bit of a joke between the crew at Aroa and Elisha and me, because I sneeze so often and with such drama. But the thing is- even though my nose is runny and my eyes itch from working in the fields- I’m learning about ingredients in ways that are vital to my development as a cook. I truly appreciate the labor that goes into a gourmet lettuce mix- that has to be cut and washed by hand. Why arugula mix is so expensive. I can see how difficult it is to keep snails and slugs from nibbling at the flowers in the far greenhouse with neither pesticide nor constant watchman. I’ve learned that the guys at Aroa seem to have superhuman strength. They have x-ray vision when we are harvesting peas, because they see every pod while I see only leaves. Even though we work surrounded by dust, pollen and grass, they rarely sneeze. Taking the morning break for coffee and bizcocho. 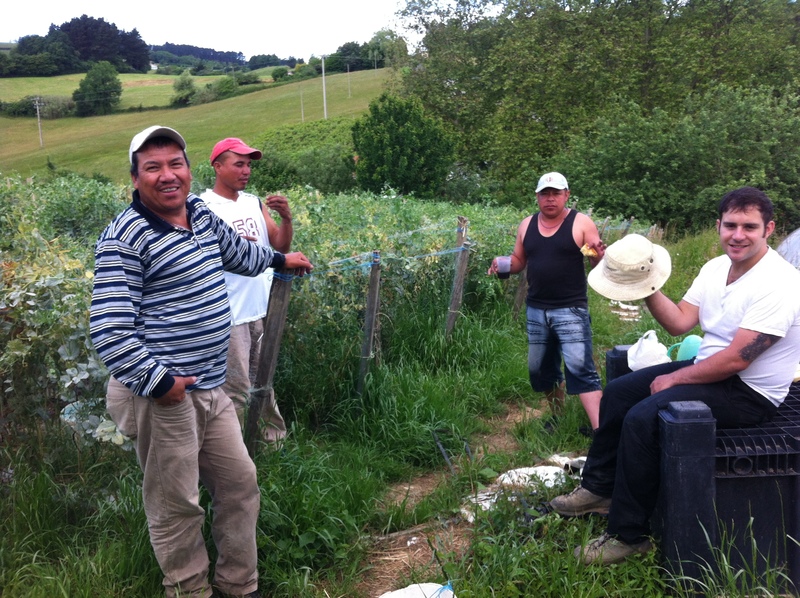 The boys from left- Jairo, Darwin, Juan and Elisha. Beautiful photos Ruth. 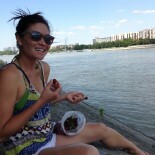 I always enjoy reading your blog. 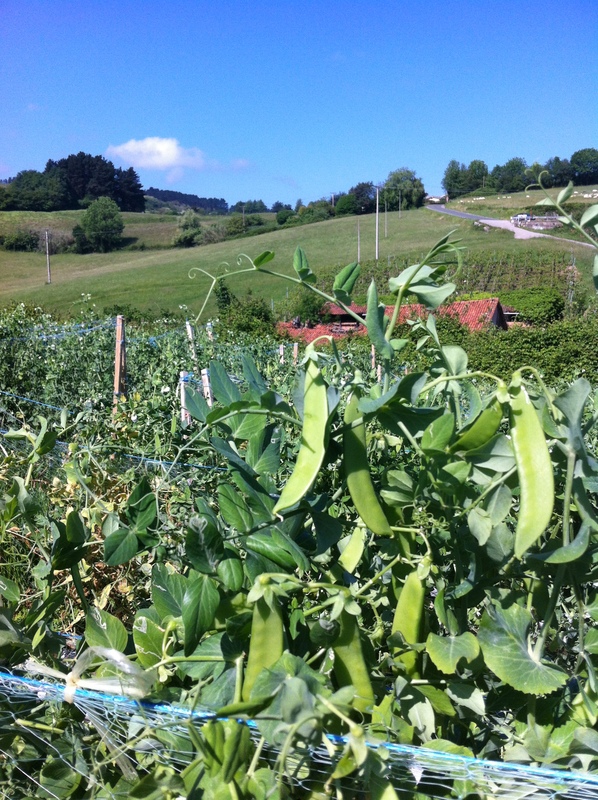 This entry was posted on June 10, 2012 by Ruthie in BasqueStage, Garden, Quick Pic, Travel and tagged Aroa, BasqueStage, Farming, Getaria.